Elegant Wallet for cards, with socket for 2 cards on each side. It's possible to insert two cards per socket after the leather softens up a little. Small size, excellent leather and perfect to wear in your back pocket. 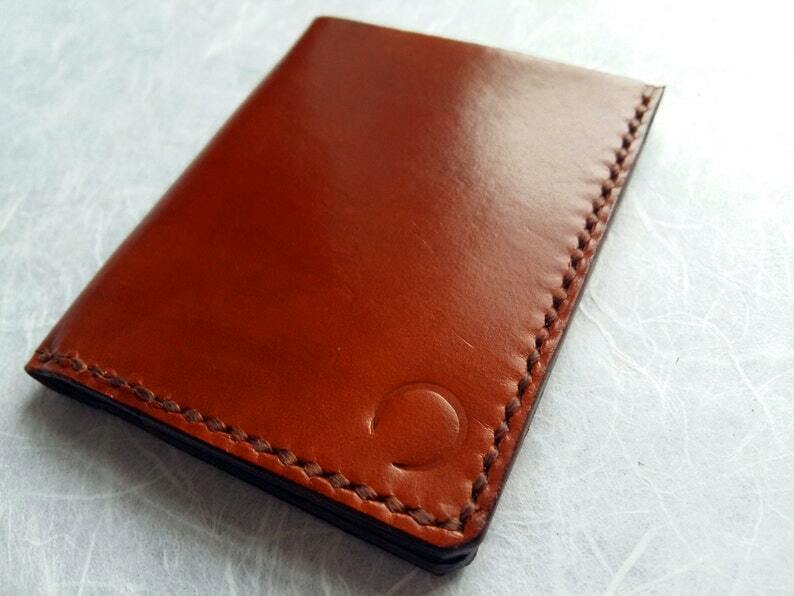 A classical and elegant wallet.It's a little bit smaller than usual, although you can put in the same amount of stuff... and it doesn't take much space!! We can customize this item adding your initial, for example. Please, ask!